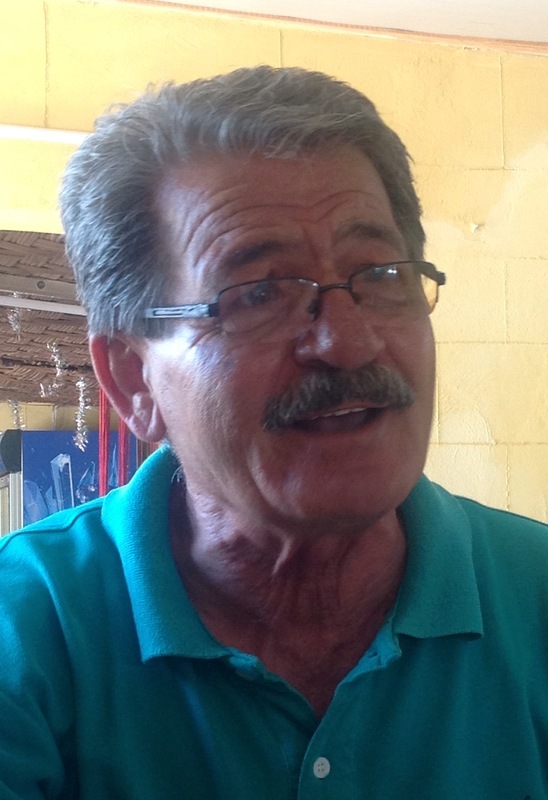 On 14 June 2015 I visited Morphou / Guzelyurt to meet with Ibrahim, a former history teacher, who grew up in Agia Irini, who would help me to make contact with Turkish Cypriot refugees from Polis Chrysochous, many of whom settled in Morphou/Guzelyurt after 1974. Ibrahim took us to one of his favourite cafes, which is patronised by academics and students from the local university. Ibrahim proudly showed his Republic of Cyprus identity card. My father and I pulled out ours, too! I wondered why a Turkish Cypriot who lives in the north has this card? “I am a Cypriot” Ibrahim stated firmly. Since the border opened in 2003, many people from the north have claimed citizenship of the Republic, which is their right. Many of their children and grandchildren have, too. There are tangible as well as idealistic advantages: for example, Ibrahim’s grandson is a citizen of the Republic of Cyprus, which is a member of the EU, and this has given him access to an affordable university education in France. Later, for our interview, we went to a quiet taverna owned by Ibrahim’s friend. Ibrahim was born in Agia Irini in 1945. He lived opposite the family of my grandfather Costas. He remembers listening to my great-uncle Iordanis as a schoolboy, playing his violin in the back yard, and my great-uncle Andreas once painted a picture of him! He remembered milk mothers – he was himself fed by a milk mother! He showed us a photo of the woman who was his ‘sut anne’. She still calls him her son. He remembers that Turkish and Greek Cypriot milk mothers would feed babies of their own group, or of the ‘other’ – in those days, they weren’t ‘other’. As a child he entered the church out of curiosity, to see what was inside. Later, he attended for weddings, funerals and baptisms. He had a vivid memory of a wedding when he was 10 years old. 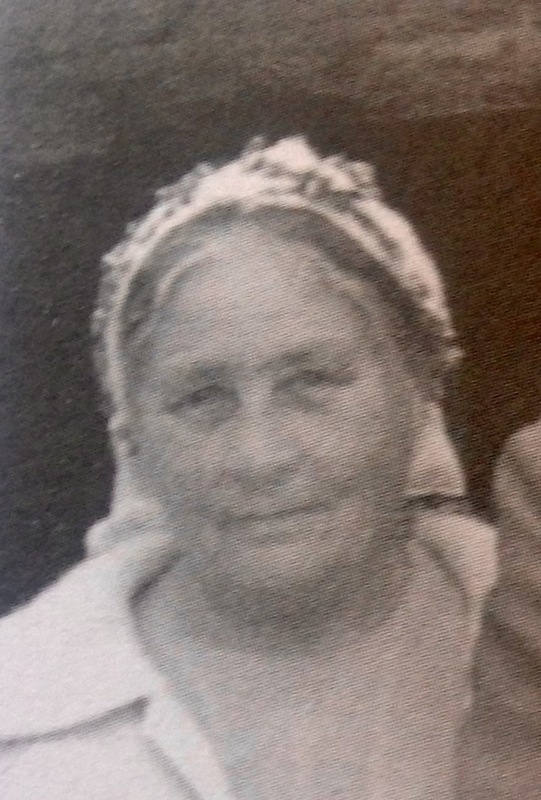 A Turkish Cypriot man was koumbaro for a Greek Cypriot named Andreas. Although the koumbaro did not enter the church during the ceremony and someone else performed the rituals inside, he shooed away cheeky children to ensure a solemn and respectful service was conducted. Ibrahim remembers other weddings where a Greek Cypriot took that role for a Turkish Cypriot, too. As a child, Ibrahim had heard stories of intermarriages. He remembered one occurring in the village, between a Maronite Cypriot and a Turkish Cypriot. As a teenager, Ibrahim’s soccer team in the village was a mixed team – of course. That was normal life. When he became engaged in 1967, the celebration included both Greek and Turkish Cypriots. As a child his identity was Turkish and Muslim. Now, he identifies as a Cypriot who speaks Turkish, and an atheist. He has many Greek Cypriot friends who visit him and he visits friends in the south a couple of times each week. My second interview was with Niyazi, a man with warm eyes and a strong presence. He was standing in the local elections the next day but made time for me inbetween his visits to surrounding villages. Niyazi was born in Varosha and moved to Polis, his father’s village, at the age of 7 to go to school. He spent many of his childhood years in Polis. His grandfather fought in the British Army in World War I and his brother and uncle fought for the British in World War II. They all fought alongside their Greek Cypriots brothers. The first time he was aware of tension between the two groups was in 1952, in the lead-up to activities of the right-wing political group EOKA. Niyazi remembered Greek and Turkish Cypriots taking the role of koumbaro for each other in the old days. This became less frequent as tensions started to become apparent after 1955, and stopped after 1963. Similar to Ibrahim, as a child he attended the church out of curiosity, and later attended weddings and funerals. He still goes, now; recently he attended a Maronite friend’s wedding in Kormakitis. 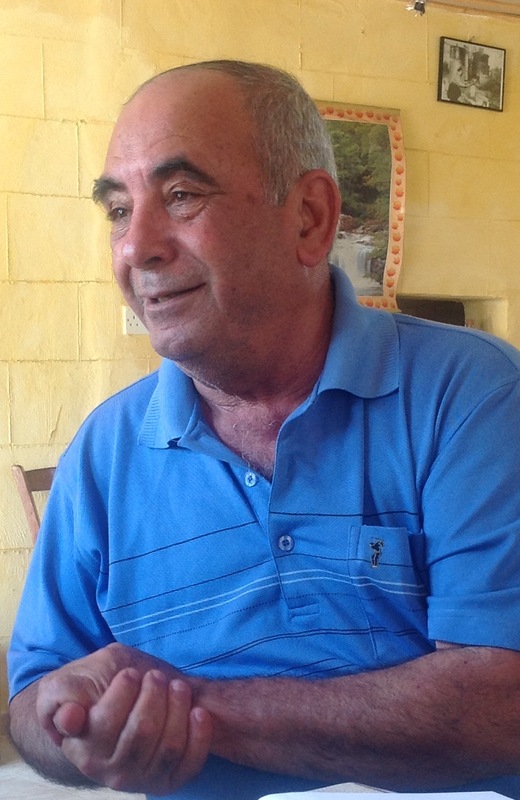 Niyazi worked together with Greek Cypriots in the building industry before 1974 and later, because of his work in the telecommunications industry, he was able to cross the border before it opened in 2003 and made many new Greek Cypriot friends. Sine the border opened, he has organised a group comprising Greek and Turkish Cypriots of Morphou, where he now lives, which organises cultural evenings, football matches and other joint events. Niyazi brings old people from both groups together with young people, in an effort to promote reunification of the island. All information contained on this website is the property of its owner. No information on this website can be used without the explicit permission of the site owner.